Alpharetta real estate is some of the finest in Atlanta. Beginning as a simple modest small farm town, development took off when GA Hwy 400, which cut through Alpharetta, was extended from the perimeter I-285 the remainder of the way southbound all the way to I-85 in 1993. This extension made Alpharetta accessible to downtown Atlanta, and a perfect location for developers... and boy has Alpharetta developed since then! Alpharetta is considered by many a favorite suburb of Atlanta, filled with primarily new/ newer homes and subdivisions, strip malls and shopping, restaurants, roads, schools, parks and more - all developed over just the last two decades. "Fresh" is a great word to describe Alpharetta. Excellent schools, shopping, and easy access to jobs combined with plenty of green space, athletic and recreational activities, and a down-home atmosphere have made Alpharetta one of the premiere locations for Atlanta residents. 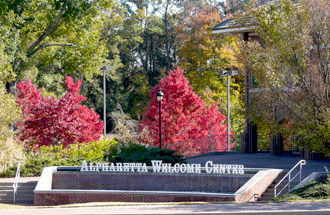 Alpharetta was also chosen by Nick Jr. Family Magazine as one of the Ten Most Playful Towns in America, and with all the indoor and outdoor activities, parks, athletics, terrific neighborhoods, plus all the necessities of life close by, there's not much need to stray from Alpharetta. 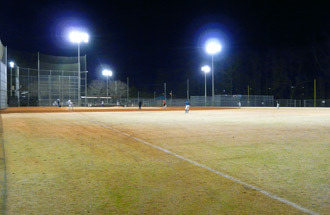 One of the largest athletic venues is Alpharetta's Wills Park, offering indoor and outdoor facilities and accomodating sports like baseball, soccer, tennis, basketball, frisbee golf, running and equestrian activities. In 2008, Alpharetta was blessed by the addition of the Verizon Wireless Amphitheater at Encore Park, an absolutely stunning outdoor concert venue. Rock, pop, the blues, country bands and symphony orchestras have all blessed fans here. A new addition to Alpharetta has caused a huge splash. Avalon is a live, work, play complex located on the northwest corner of Old Milton Pkwy and GA 400, with high end restaurants and shopping, theater, four star hotel, and residential houses situated on the west side and condominiums situated directly over the main complex with views overlooking the ice arena, and passers by enjoying the array of entertainment and shopping. Many great businesses have decided to locate their corporate headquarters here, taking advantage of better property pricing than downtown Atlanta, as well as the substantial professional and executive work force that calls Alpharetta home. Our friend Bill Blood who administers business licenses for the City of Alpharetta shared that they have been experiencing an exceptional increase in business license applications as of late, and indicated even more growth is on the way. If you're looking for a terrific lifestyle featuring great schools, wonderful family amenities, freedom from the dense traffic of intown living, plus a reasonable commute to downtown and the airport, you should definitely consider making Alpharetta home. If you beat rush hour traffic by hitting the road before 6:45 in the morning, you'll likely be parking downtown in about 35 minutes, or rolling your luggage into the airport terminal in 40-45. Alpharetta has been home to The AtlantaPros Real Estate Team since 2004, after I permanently moved my main office to an 1885 Alpharetta landmark home (main photo above) overlooking Wills Park near the heart of downtown Alpharetta.